I am honest, after reading this paragraph, most people will have no idea what reactive programming actually is, so do I. This is the reason why I will try to create a simple, easy to understand Introduction for this modern approach to software development using the Swift Version of Rx: RxSwift. The first thing you need to understand is that everything in RxSwift is an observable sequence or something that operates on or subscribes to events emitted by an observable sequence. Arrays, Strings or Dictionaries will be converted to observable sequences in RxSwift. You can create an observable sequence of any Object that conforms to the Sequence Protocol from the Swift Standard Library. The passed block will receive all events emitted by that sequence. Observable sequences can emit zero or more events over their lifetimes. 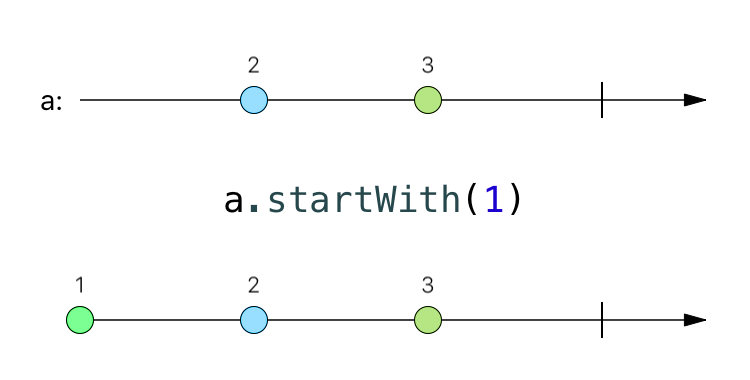 .next(value: T) — When a value or collection of values is added to an observable sequence it will send the next event to its subscribers as seen above. The associated value will contain the actual value from the sequence. .error(error: Error) — If an Error is encountered, a sequence will emit an error event. This will also terminate the sequence. If you want to cancel a subscription you can do that by calling dispose on it. You can also add the subscription to a Disposebag which will cancel the subscription for you automatically on deinit of the DisposeBag Instance. Another thing you can do is to subscribe just to a specific Event. For Example, if just want to receive the error events emitted by a sequence, you can use: subscribe(onError:(Error->())). PublishSubject: If you subscribe to it you will get all the events that will happen after you subscribed. 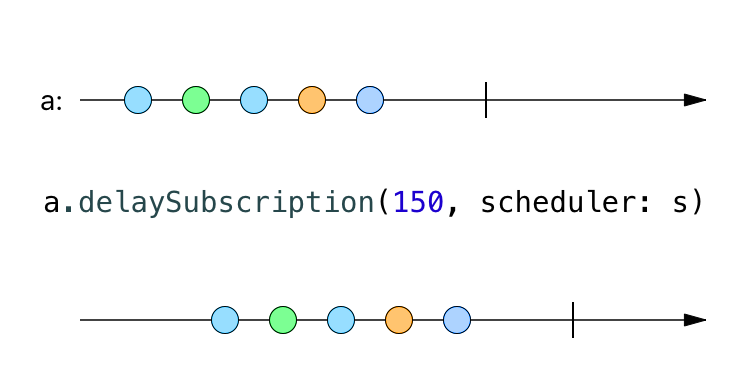 BehaviourSubject: A behavior subject will give any subscriber the most recent element and everything that is emitted by that sequence after the subscription happened. ReplaySubject: If you want to replay more than the most recent element to new subscribers on the initial subscription you need to use a ReplaySubject. With a ReplaySubject, you can define how many recent items you want to emit to new subscribers. Variable: A Variable is just a BehaviourSubject wrapper that feels more natural to a none reactive programmers. It can be used like a normal Variable. I’ll just show you how the PublishSubject works in this Article. If you want to know more about the other subject types, you need to take a look at the accompanying material on GitHub. They basically differ only in the number of past events emitted and received by their subscribers on initial subscription. Let’s take a look at the PublishSubject. The first thing we need to do is to create an actual PublishSubject instance. This is super easy, we can use the default initializer for that. You can add new Values to that sequence by using the onNext() function. onCompleted() will complete the sequence and onError(error) will result in emitting an error event. Let’s add some values to our PublishSubject. If you subscribe to that subject after adding “Hello” and “World” using onNext(), you won’t receive these two values through events. In contrast to a BehaviourSubject, that will receive “World”, which is the most recent event. Now let’s create a subscription and add some new values to the Subject. We also create a second subscription and add even more values to it. Please read the comments to understand what actually is going on. Congratulations 🎉. If you kept up reading to this point you should know the basics of RxSwift. There is a lot more to learn, but everything around Rx is based on these simple principles. You can take a short break now and play around with these concepts to fully understand them. If you are ready let us continue because there is a lot more interesting stuff to uncover. If you work with RxSwift or Rx in general, you should get to know Marble Diagrams. A Marble Diagram visualizes the transformation of an observable sequence. It consists of the input stream on top, the output stream at the bottom and the actual transformation function in the middle. There are great open source projects for both iOS and Android which allows you to interactively play around with these diagrams on your mobile devices. Play around with them and I promise you that you will learn a lot about Rx in a short amount of time. Sometimes you want to transform, combine or filter the elements emitted by an observable sequence before the subscriber receives them. I will introduce you to the basic transformation operators, tell you something about Filters and possibilities to combine sequences. At last I will show you how to perform transformations, combinations etc. on different threads. 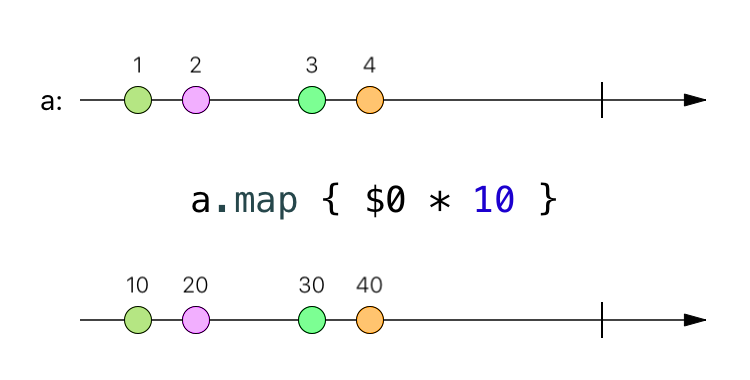 To transform Elements emitted from an observable Sequence, before they reach their subscribers, you use the map operator. Imagine a transformation that multiplies each value of a sequence with 10 before emitting. Imagine an Observable Sequence that consists of objects that are themselves Observables and you want to create a new Sequence from those. This is where FlatMap comes into play. 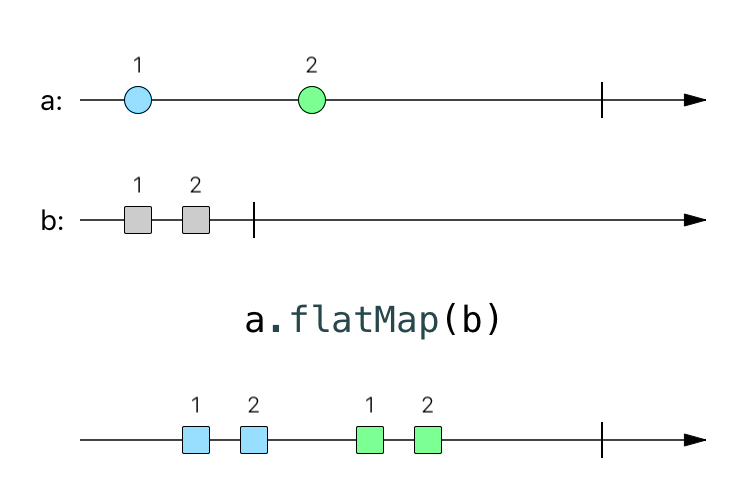 FlatMap merges the emission of these resulting Observables and emitting these merged results as its own sequence. 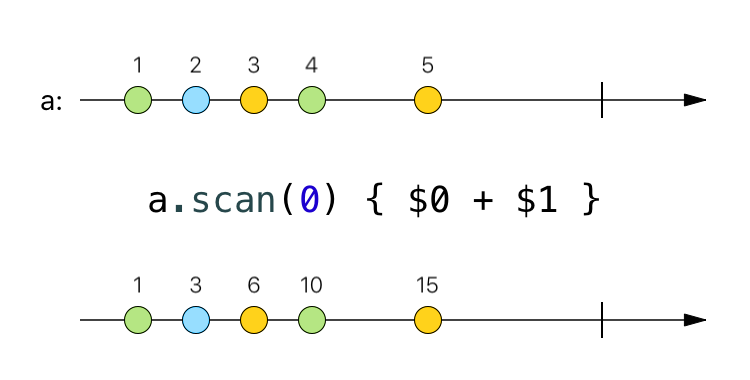 Scan starts with an initial seed value and is used to aggregate values just like reduce in Swift. The Buffer operator transforms an Observable that emits items into an Observable that emits buffered collections of those items. If you only want to react on next events based on certain criteria you should use a filter operator. 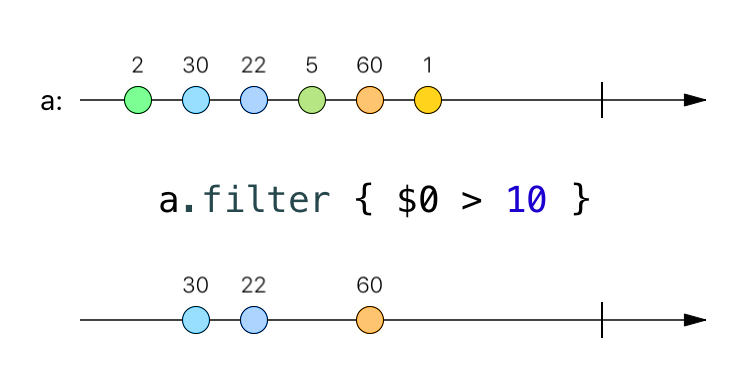 The Basic filter Operation works similar to the swift equivalent. You just define a condition that needs to be passed and if the condition is fulfilled a .next event will be emitted to its subscribers. 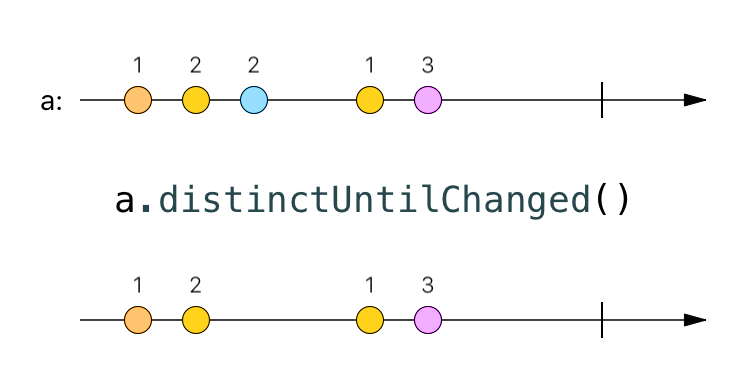 If you just want to emit next Events if the value changed from previous ones you need to use distinctUntilChanged. If you want an Observable to emit a specific sequence of items before it begins emitting the items normally expected from it, use the startWith operator. 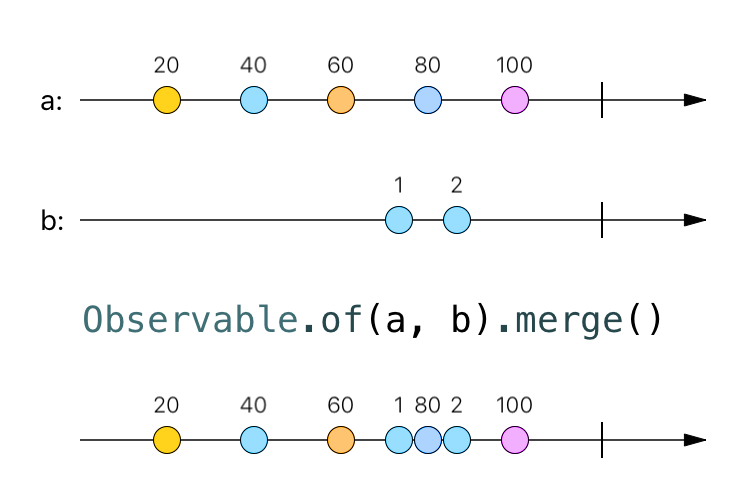 You can combine the output of multiple Observables so that they act like a single Observable, by using the Merge operator. 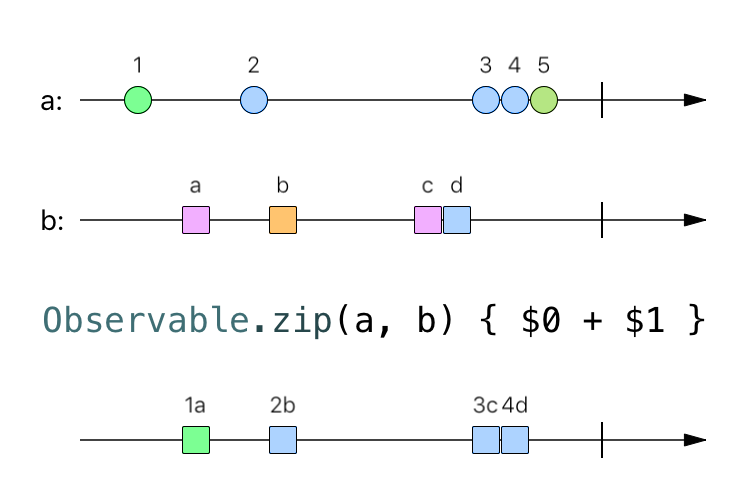 You use the Zip method if you want to merge items emitted by different observable sequences to one observable sequence. Zip will operate in strict sequence, so the first two elements emitted by Zip will be the first element of the first sequence and the first element of the second sequence combined. Keep also in Mind that Zip will only emit as many items as the number of items emitted of the source Observables that emits the fewest items. If you want to register callbacks that will be executed when certain events take place on an Observable Sequence you need to use the doOn Operator. It will not modify the emitted elements but rather just pass them through. do(onCompleted:) - if the sequence finished successfully. SerialDispatchQueueScheduler — “Abstracts the work that needs to be performed on a specific dispatch_queue_t. 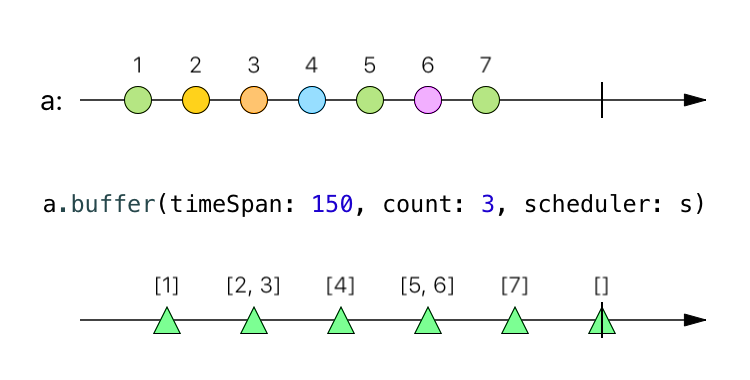 It will make sure that even if a concurrent dispatch queue is passed, it's transformed into a serial one.Serial schedulers enable certain optimizations for observeOn.The main scheduler is an instance of SerialDispatchQueueScheduler"
Here is a code snippet that shows you how to observe something concurrently on a background queue und subscribe on the main-queue.